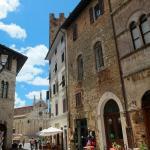 Despite the name, Massa Marittima is not located on the sea but on the Tuscan hills. Medieval-Renaissance country, Massa Marittima is located in the Technology Park of Archaeological Metalliferous Hills of Grosseto which aims to enhance the environmental heritage and cultural history of the area. Massa Marittima hotels offer comfort and high quality services. In the historical centre there are numerous rental apartments and hotels available. 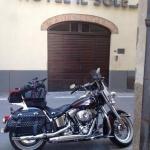 In Massa Marittima you may find hotel deals primarily in spring and autumn. Select travel dates and find all available hotels in Massa Marittima, check out guests reviews and locate properties on Massa Marittima city maps, book your favourite accommodation with no pre-payment. All rates are in Euros and inclusive of all taxes. 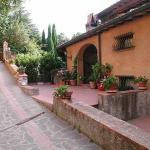 Villa Pegaso is a peaceful residence that stands on the hills of Massa Marittima. The main square of the town is easily accessible with a short walk, and in only 20 minutes by car you reach the beautiful beaches.